Summer, sunshine, parks, picnics, and the first order of business before heading out to enjoy the beautiful weather is to make certain you’ve packed your strawberries. That’s right, it’s strawberry season, and this summer we’ve decided to make buying strawberries all the more fun and sustainable by working with our local farmer Hugh Lowe. At Maple & Fitz, we are saying goodbye to anonymous food sources and saying hello to healthier, better tasting, and socially responsible strawberries whose source can be traced and trusted. At Hugh Lowe Farms, local to London since 1893, strawberries are sustainably grown to be the freshest and best tasting fruits on the market. After all, taking good care of our environment is a priority, and Hugh Lowe Farms is dedicated to enhancing wild life, all at the same time while reducing energy use, promoting efficient water use, and reducing the need for pesticides. Supporting local production is all about supporting the local community. 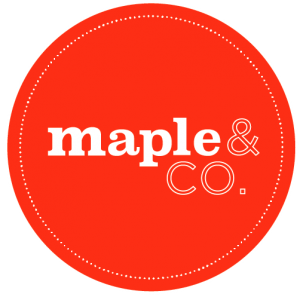 We at Maple & Fitz are committed to mindful eating, to ensure that what we eat is not just beneficial to our cravings, but to everyone involved in the process. For that reason, we strongly advocate Hugh Lowe’s role in supporting agricultural communities, protecting local jobs, and substituting imported fruit for local production. So what are the health benefits for you? There’s loads! Hugh Lowe strawberries are picked at the highest maturity period, requiring no overseas transportation. As a result, the fruits have way higher nutrient density for the amount of calories they contain. They’re rich in vitamins and minerals, and full of antioxidants to prevent illnesses. You’ve also got a friendly dose of vitamin C which is great for your immune system and eyesight! This Wimbledon season, we introduced a healthy twist to the championship’s classic soft red fruit. During Finals weekend, we spent our afternoons at Paddington Central’s Wimbledon screening to share our nutritious approach to the classic treat. It is said that nearly 28,000 kilograms of strawberries are eaten at the tournament each year! Naturally, we opted for Hugh Lowe’s locally sourced strawberries and served them with coconut yogurt rather than cream, as well as some toasted seeds for added protein. We collaborated with Mission London and Work Well Being to create some delicious treats for Wimbledon watchers as well as to teach them how to make the signature dish at home. We also brewed an extra special raw cold-pressed lemonade with alkalizing water and cayenne peppers. Sounds nice and refreshing, right? It’s been one crazy week, and we can only depend on fresh fruit to to take the edge off a restless summer day.